Anna Greka, an institute member of the Broad Institute of MIT and Harvard, is a physician-scientist leading the translation of scientific discoveries from the laboratory to clinical trials. She is an assistant professor at Harvard Medical School (HMS); an associate physician in the Renal Division in the Department of Medicine at Brigham and Women’s Hospital (BWH); and the founding director of Glom-NExT, a Center for Glomerular Kidney Disease and Novel Experimental Therapeutics at BWH and HMS. The Greka laboratory specializes in the development of personalized and targeted therapies for difficult-to-treat diseases affecting millions of people across the world. Her team focuses on a detailed, mechanistic understanding of the signaling pathways regulating important cellular functions in health and disease. Specifically, her lab studies mechanisms of cell survival and metabolic regulation, with an emphasis on calcium signaling and transient receptor potential (TRP) ion channel biology. Applying this expertise to the study of kidney podocytes, the laboratory recently identified a TRPC5 channel blocker as the first ion channel targeted therapy for kidney disease. National Institutes of Health (NIH) director Francis Collins recognized this work on the 10-year anniversary of the NIH Common Fund. Her laboratory also directs its efforts toward understanding the mechanisms linking calcium signaling to disrupted cellular metabolism, with important connections to obesity and diabetes. In parallel, her recent first-in-human use of B7-1 (CD80) targeted therapy for patients with severe kidney disease, published in the New England Journal of Medicine, has been hailed as ushering in a “new era of podocyte-targeted therapy for proteinuric kidney disease.” The discovery resulted in her leadership of the first clinical trial in that area. 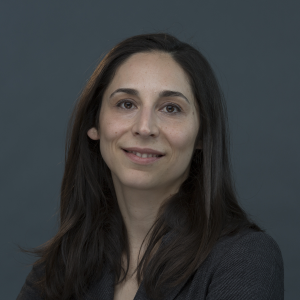 Greka has been the recipient of several honors, including a 2017 Presidential Early Career Award for Scientists and Engineers, a 2014 Top 10 Exceptional Research Award from the Clinical Research Council and a 2014 Young Physician-Scientist Award from the American Society of Clinical Investigation Council. She also serves on the Harvard-MIT M.D.-Ph.D. Program Leadership Council. Greka holds an A.B. in biology from Harvard College and an M.D. and Ph.D. in neurobiology from HMS. She received her medical and scientific training in the Harvard-MIT program in Health Sciences and Technology in the laboratory of National Academy of Sciences member David Clapham, where she explored the role of TRP channels in neuronal growth cone motility.